Brian Backlash: From the start, you made a point to disassociate Filter from the term 'industrial', saying you did not believe that it was a relevant term for your work. Do you still feel that way today? Do you think the term still has any relevance to artists today who were associated with the term in the past? Richard Patrick: I can see why I said that – I was young and I left Nine Inch Nails. But the reality is looking back on it – being an older wiser man - industrial does fit what I do… and I’m proud of it. Brian Backlash: It's been nearly six years since the release of the last Filter album, The Amalgamut. How has this lengthy hiatus affected you musically and creatively? Has your motivations for creating music changed? Richard Patrick: My motivations are all the same. I love music and I love connecting with people musically. Its like a drug. NINa: Filter was founded in 1993 and since then you've released only 3 full albums, aside from your work in Army of Anyone and soundtracks. What causes such long periods of time between the releases? Richard Patrick: I don’t know. Hopefully there will not be such a long time until my next album. I have hurdled huge obstacles in my lifetime during my recording career and sometimes I have to put life and family before recording. Brian Backlash: The music industry has also changed a bit in the past six years. With the continuing growth of the internet and digital viral promotion, a lot more artists are taking it upon themselves to be more involved in promoting their projects. Are you also more involved in the promotion of Filter? Do you have any favorite websites or techniques for promotion that you've recently discovered? Richard Patrick: Yes I am actually way more aware of how bands are promoting themselves these days. My favorite way to promote, however, is the good old fashioned way of having a hit. But I love Myspace. In fact, my new album is being released independently and I am intimately involved in every aspect of its creation, promotion, marketing, everything. NINa: Filter, like many bands, has a Myspace profile for promotional purposes. Can you recall the most precious and the worst comments on Myspace you have ever gotten from people? Richard Patrick: The most precious comments I get are from people reaching out for help with their sobriety and troubles with addiction. I take that very seriously and I try to help as much as I can, which was a very unexpected plus from Myspace. NINa: Do you know your fans? Are they freaks with weird passions or just normal hard working guys, or students? Richard Patrick: I know a lot of my fans… they are a passionate bunch. Brian Backlash: Who else will be participating on the new album with you? Are Geno Lenardo and Frank Cavanaugh still involved? Richard Patrick: No. 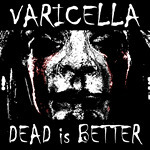 The new album was recorded by me and some special guests including John 5, Wes Borland and Josh Freese. Brian Backlash: You went into rehab shortly after the release of your last record. How has sobriety changed your life? Richard Patrick: It’s made it a lot easier. Music and performing and everything is great but its really helped me with my family and friends. And that’s what I cherish the most. Brian Backlash: You were recently involved in a supergroup called Army of Anyone, which featured members of other prominent 90's alternative bands. What did you like most about being a part of that project? Richard Patrick: It was nice to just go with the flow and just sing over Robert and Dean”s music… and Ray Luzier was no slouch either. Brian Backlash: For a while there, it seemed like every film soundtrack that came out had a Filter song on it somewhere. Are you still interested in contributing to soundtracks? Anything in the works at present? Richard Patrick: Of course. My music is very cinematic and often fits well in films. I am always open to recording music for film. NINa: Which music video for Filter are you most proud of? Richard Patrick: Jurassitol. Shot in Prague. Dean Carr and I sat around and drank blue alcoholic beverages and schemed up an amazing treatment and visual montage of ancient architecture and kept it real loose. NINa: In a recent interview, Al Jourgensen (Ministry) said that Trent Reznor and Morrisey should get together and play russian roulette. Is it true that Trent is quite possibly the most depressing individual that you know? Richard Patrick: I had a blast in Nine Inch Nails. I was 21 years old. It was the easiest job in the world and those are the thoughts that I think of when I think back on those times. NINa: What do you recall of the recording of "Gave Up" (NIN) with Reznor and Marilyn Manson? To me it's the best NIN song and it's amazing to see which directions the three of you went afterwards. 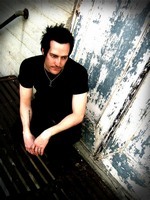 Richard Patrick: Gave Up was completely done by Trent. Marilyn, who was just Brian back then, and I were his buds. We just jumped in and did the video. We didn’t do anything on that song. NINa: You made an appearance at one of Korn's shows in San Bernardino, CA and you performed "Hey Man, Nice Shot" with them. Was it a spontaneous or totally planned moment? Did Korn fans know who you were? Richard Patrick: It was a spur of the moment thing that we thought up in the afternoon at the show. David played it way to fast but i had a good time anyway. Munky, Fieldy and Jonathan are my boys. Brian Backlash: How soon can we expect to see the new record in stores, and the band on the road? 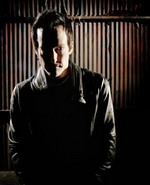 Richard Patrick: New record will be in stores May 13 and I am leaving for Kuwait to play for the troops at Operation Myspace as I write this interview on Friday March 7. We begin touring in April and will be on the road the rest of the year. 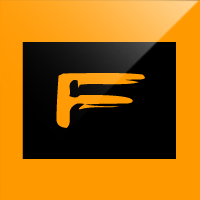 Pictures come from Filter archive, all copyrights reserved by © Filter.